RSVP: by noon on Monday, April 15, 2019 to the Marion Area Chamber of Commerce office by clicking the Register Online icon, by email reply, or by calling 740.382.2181. 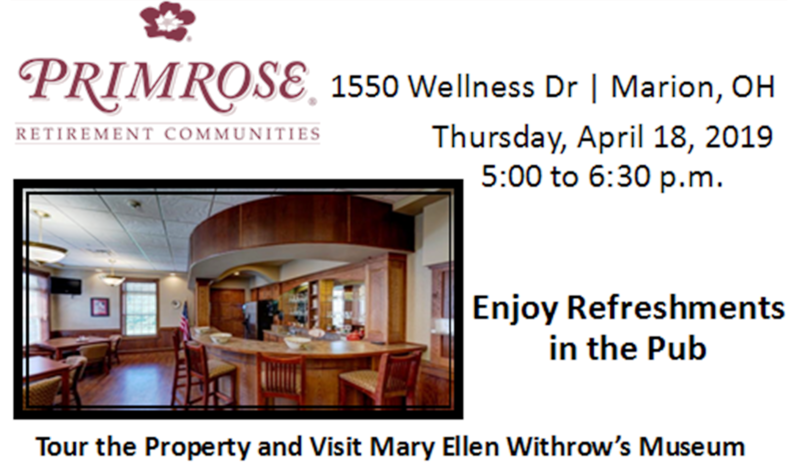 Socialize with the Marion area business community at this month's Business After Hours! Business After Hours provide the perfect time to relax while still offering opportunities to develop business relationships and meet potential future clients. All Chamber member businesses and their employees are invited to attend this FREE event, which is a benefit of their Chamber membership. Invite your entire office and RSVP today!